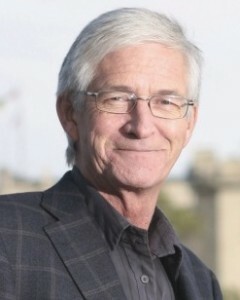 Tom Graham, President of CUPE Saskatchewan, responds to recent comments made by Premier Wall about the provincial deficit and potential public sector cuts. Brad Wall is suggesting that the key to remedying the province’s economy lies in taking money out of the pockets of hard working Saskatchewan public servants. He also hopes that the provider unions and others will show good will and good faith in what I assume from his comments is accepting job loss and lower wages. Public sector workers did not cause Wall’s billion dollar deficit – Brad Wall and the Saskatchewan Party government did. Public sector workers, at least those I’m privileged to represent, have seen their wages barely keep up with the inflation rate, and in many cases they have fallen behind. Now we are expected to show good will when the Premier has not had the decency to talk to those affected before making his public musings. Brad Wall has been quick to take credit for a strong economy he didn’t create. Now that the money is gone, you never hear him take blame for failing to govern in a responsible manner. Overpriced and undersized P3 schools, millions on Lean, millions in shady land deals, billions in privatized bypass roads and questionable carbon capture, and millions in lost revenue through the privatization of profitable Crowns is only the tip of the iceberg. This is why we have a deficit. If Premier Wall wants to see good will then he should stop fiddling while the province burns and start putting people first.